When’s the best time to see the auroras – the northern lights? That’s one of the most frequently asked questions we get from curious aurora hunters from all over the world. Maybe surprisingly, the northern lights seem to love to appear close to the equinoxes. Observations, for example in Leirvogur Magnetic Observatory in Iceland, show that on average, you are about twice as likely to see auroras around the equinoxes than around the solstices. So, on average, the months of March/April and September/October are often the best bet. But don’t worry if you are visiting sometime in the winter between October and March. 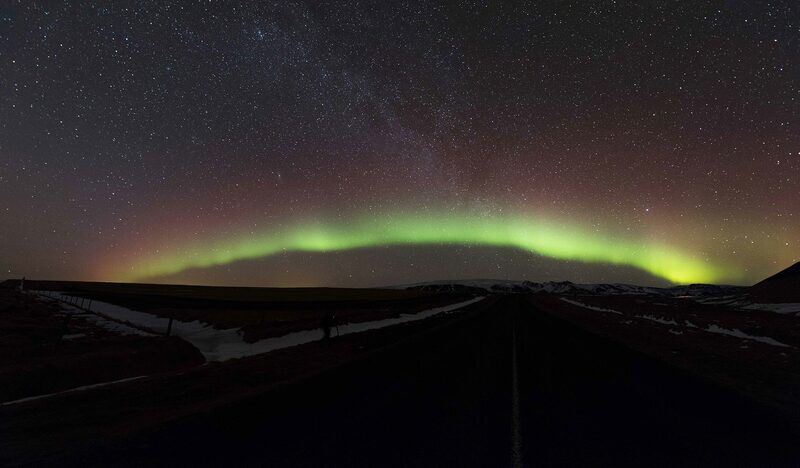 Auroras are readily visible from Iceland from late August until late April. Obviously, one cannot see any auroras in May, June and July due to daylight 24/7. We still don’t know exactly why the auroras love the equinoxes. It may have something to do with the tilt of the Earth’s relative to the Sun those times of the year. Around the time of the equinox, Earth’s magnetic field is best oriented for “connecting-up” with the Sun. Another thing to keep in mind is that although auroras can be seen from dusk till dawn, on average, they most often appear around 11 o’clock (23:00). So when you are outside chasing auroras, preferably stay outside between 22 and 01 and you have great chance of catching them.